SRG..A unique Refrigeration solutions company. We are leading and distinguished manufacturers, Cold chain project consultants and turnkey installation contractors of Cold Storage projects. Latest technology and precision machines are used to create the best quality product. The manufacturing process involves the use of high quality raw material under the control of highly experienced professionals. Our plant is well organized and the best system is enumerated for its optimum efficiency and consistent output. Cold Storage equipment and services offered by us are suitable for Dairy technology, food processing, Bakery, marine produce applications, refrigerated modern warehouses ,horticulture, Floriculture ,chemical industry, Hotels, Restaurants, Caterers, Pharmaceuticals and wide range of commercial applications. Cold Storage system and pre-fab modular construction. *Rigid Pre Fab structure using Green PUF Panel Technology. * Optimum design and Single window solution of energy efficient cold rooms. * Assistance in planning, load calculations and system evaluation by expert panel Consultants. * Supply and Installation of Compact energy efficient cooling machines available in a wide range of applications..
Our company specializes in offering high grade PUF Insulated Cold Room. 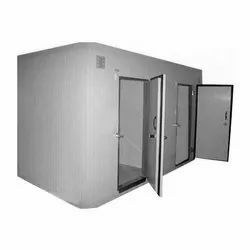 We have hired experienced professionals who hold expertise in this domain, they interact with patrons to get the clear understanding of their requirements and provide them with these cold rooms, accordingly. 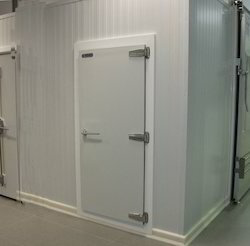 In addition to this, while carrying out the manufacturing process of these cold rooms, our professionals keep in mind the established quality standards and latest market trends. 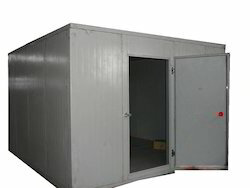 Our puf insulated cold room is available in any size since the nature of puf panel in customized. also required thickness for the required temperature. 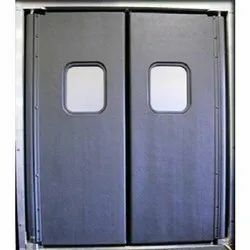 We have an wide varies of Puf insulated door in SRG. Our puf insulated Door last long and beautiful in looks we make sliding cold room door, flush type door, slider door, overlap doors. Humidity range 20 - 98% R.H.
Humidity range: 20% 98% R.H.
We are leaders in manufacture and supply of Heavy Duty,Single & Double LeafCold Store Doors.These doors are made of high density puff having good structural strenth. 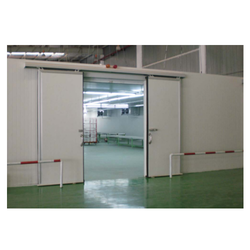 The doors have a wide application in the cold storage and warehouse setup. 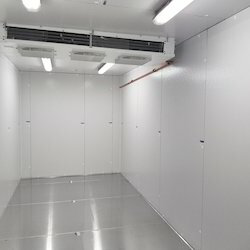 Walk-In Cold Rooms offered by us are suitable for Dairy technology, food processing, Bakery, marine produce applications, refrigerated modern warehouses ,horticulture, Floriculture ,chemical industry, Hotels, Restaurants, Caterers, Pharmaceuticals and wide range of commercial applications. 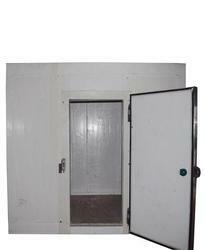 Why SRG Walk-In Cold Room? 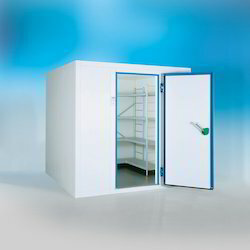 Modular Cold Rooms are designed for flexibility so as to maximise the storage space and the rooms can be expended for future add on. 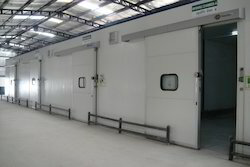 These cold rooms have panels which can be easily assemble at site.The cold rooms find their application in the industrial,warehouse,agriculture,horticulture,dairy industries,food processing and storage of a wide range of perishable products. Owing to our experience, we have been successful in catering to the requirements of our esteem clients by offering Insulated Room Chamber. 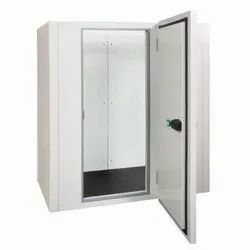 Insulated chamber room is not only for maintaining cold temperature but these chamber are ideal for hot premature as well, these chamber can be used as balance chamber with stand any required temperature in the chamber. 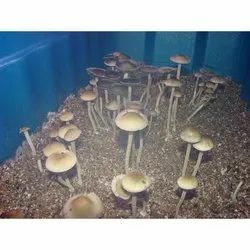 Being a customer-oriented enterprise, we are engaged in providing a Mushroom Grow Chamber. 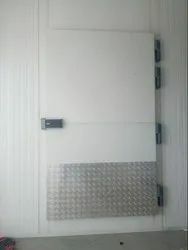 Customers can avail from us a broad spectrum of Cold Room Door, which are available in the market with at leading price. These products are reckoned among the clients owing to their optimum quality and long life span. Moreover, these are used in different types of cold rooms such as blast freezer door, chiller room door, clean room door, freezer room door. 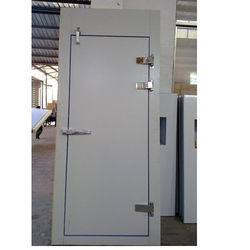 We are the leading and prominent Manufacturer, Trader, Exporter and Supplier of Overlap Door. With the help of adroit team, we present an extensive series of Insulated Door. Our products are available in varied specifications that meet on consumer’s demand.